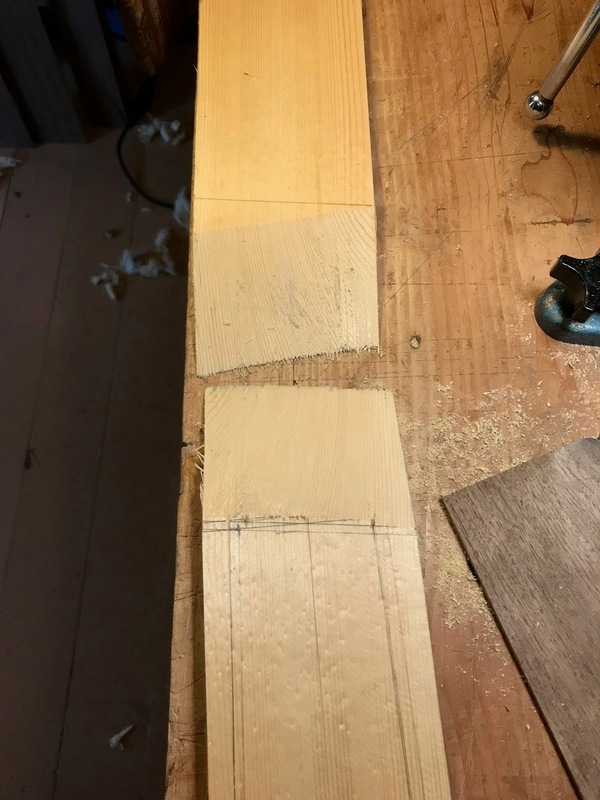 My biggest concern was to place the bridge in the most responsive place of the guitar's lower bout. 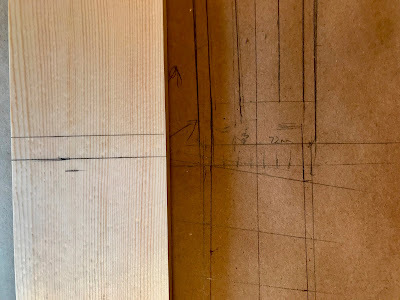 Historically, a maker usually puts the bridge just ahead, more towards the sound hole, of the center of the guitar's lower bout. 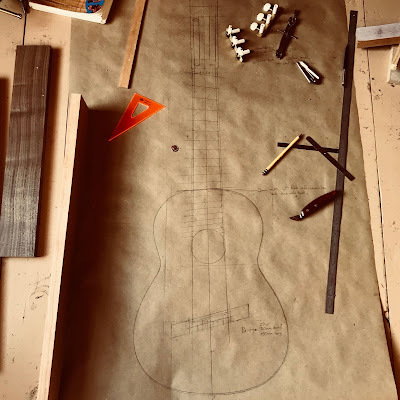 I drew plans using outlines guitars made by Jose Ramirez III, Hernandez y Aguado and Antonio de Torres, but it seemed to me that there wasn't enough room in the lower bouts to make a more responsive guitar. An outline used by Santo Hernandez spoke best to my visual senses at the time and I chose to use that one. 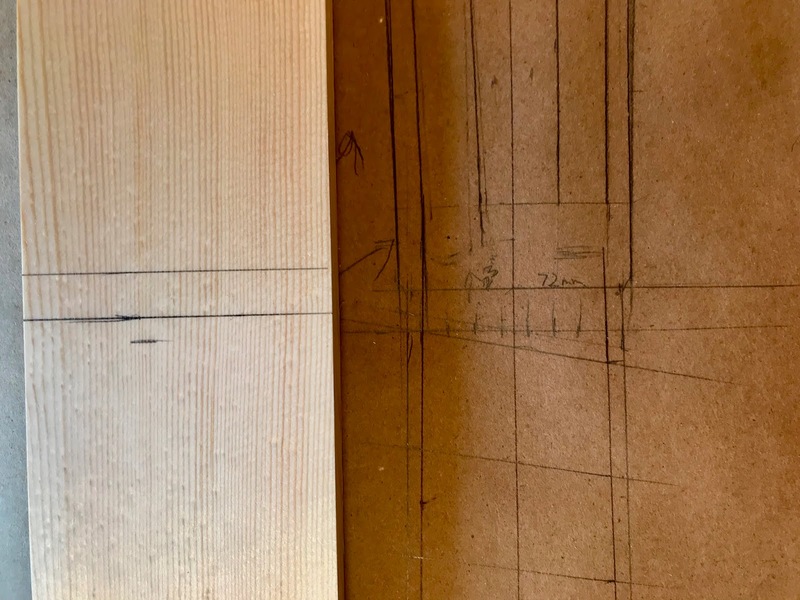 Layout of the fret placement was made very easy with the help of R.M. Mottola's wonderful website. He has a wonderful multi string fret calculator which was invaluable to me in making this guitar, I need to send him an email thanking him for this wonderful service. 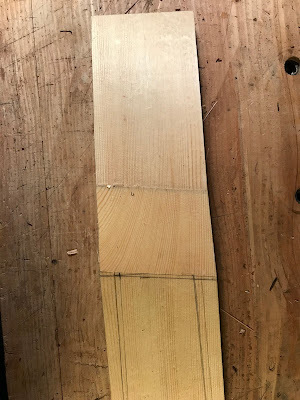 I took a piece of lodgepole pine to make the mock up neck. with two different angles the pieces don't make a nice scarf joint. 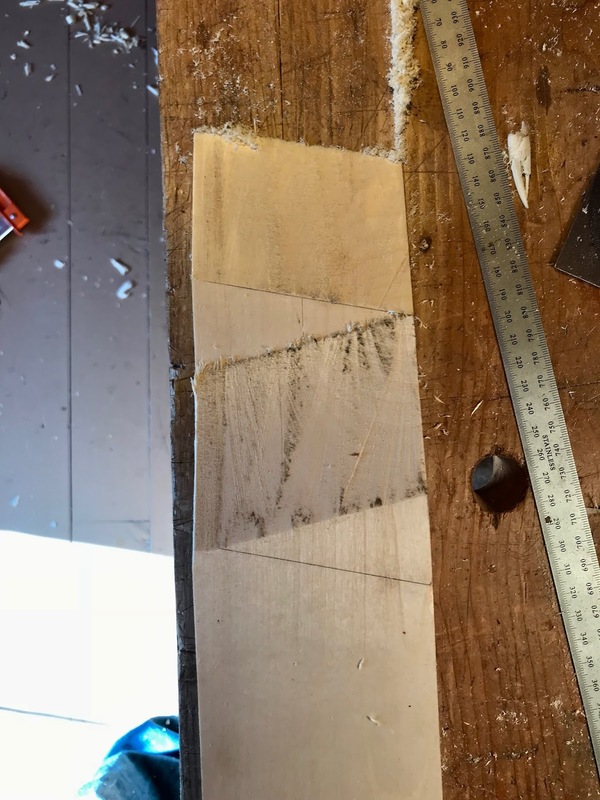 and then the pieces come together well. Once I made the mock up I made the neck for the guitar. 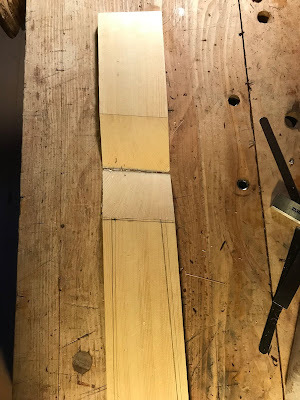 The guitar is nearing completion, I am in the middle of shaping the neck, there are three frets that need to be added and then I can start the finishing process. 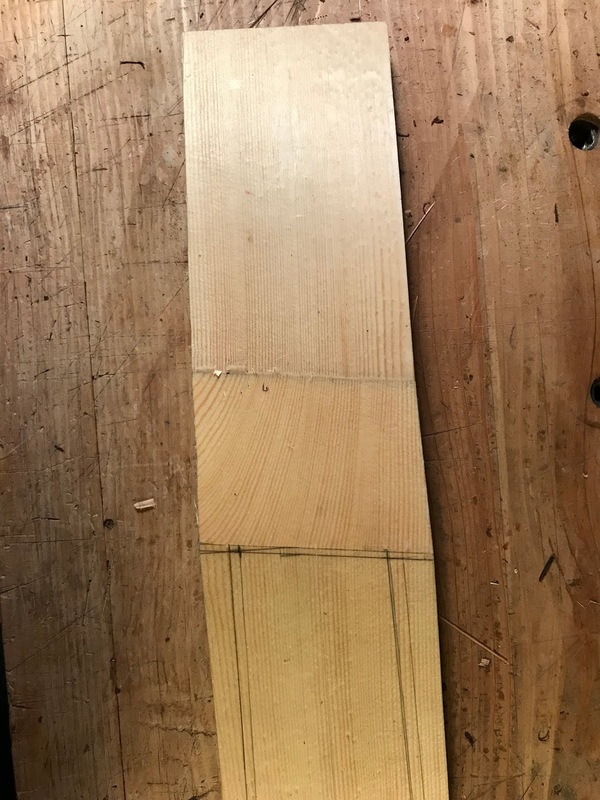 Stay tuned for more on how I made this guitar!